Joe Penna, aka as YouTube user, Mystery Guitar Man, is known for creative and unique videos and projects. So if you dona��t remember his rubik cube video from years ago, then this is a great way to restart. When his wife became pregnant, he began taking photographs of her enacting a scene with a fake background, car and flat tyre. Penna is the handy man who comes to help. But as he pumps air into the tyre her bump grows. Cute and slick stop-motion video for those waiting for the stork to arrive. In February, five-year-old Hannah Higgins was diagnosed with Wilmsa�� tumor, and since then, she has undergone chemotherapy, radiation and four surgeries. But this gorgeous girl has not lost faith and in fact is all about encouraging others. She has stayed focussed on her recovery and urges others with this simple video, which the young lady calls a a�?commercial for cancera��. Watch the clip in which she shares her struggles and advises other patients a�� Dona��t worry. You can be brave like me too. 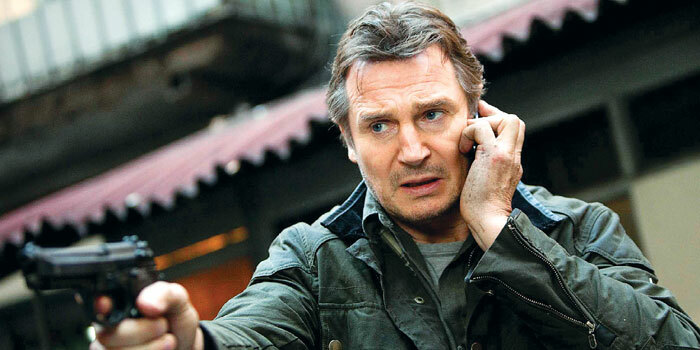 Good old protective daddy, Liam Neeson is back in the punch-your-face avatar in Taken 3. Back in America, Bryan Mills is now happily home, and has vowed never to leave the safety of the US again. But now he is attacked on home turf with his wife murdered. Suddenly, he becomes the prime suspect. But he will, of course, focus on protecting his daughter at all costs. Filled with fights and a seemingly higher budget, this film looks slick and stylish albeit a repeat plot.